In this age of technology no matter which occupation you have, you need internet. Even accept work internet is something every person is habitual of, for many people all of their work is over internet that is why nearly every office, every institutions have WIFI and not only these official places knowing the use of internet, many people are getting WIFI router in their homes as well. But, what is the use of getting a router if it doesn’t work well. People get WIFI router to get high speed internet but what if all you get is buffering. Sometimes you will get signal in one room but not in other and it’s not the fault of the router but of its coverage. How does WIFI booster work? The problem to this solution is to have a WIFI booster. It works by amplifying your signal which you already have. Sometimes having thick walls may be the reason of having weak signal, in remedy to this you can have WIFI repeaters to increase the coverage area of the network signal. The thing you need to keep in mind is to place the repeater at a higher place so that it does not get obstructed by any object and also expands down and towards the side. It doubles your WIFI signal so that it has higher frequency than the router provided signal. In companies with large buildings and greater area, need to have such WIFI boosters, or repeaters because they require greater coverage. The installation is extremely easy and these systems have compact size and designs suitable for the walls. 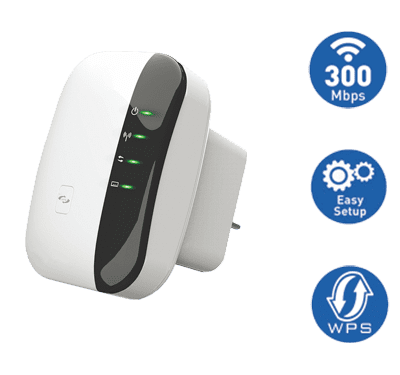 The WIFI booster will increase the speed of internet and its reach by 50% so you don’t need to wait for your page to load and also not choose the place to operate your internet according to those signals.